IRELAND: Addresses, hints and tips for your trips to Ireland. Places to visit, attractions. 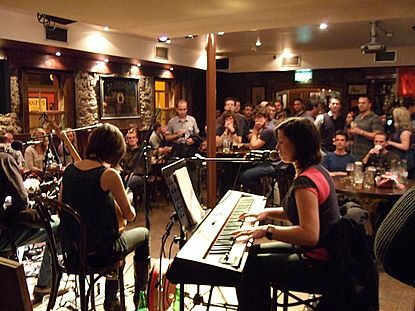 Ireland: musical atmosphere is what many people like in an Irish pub. 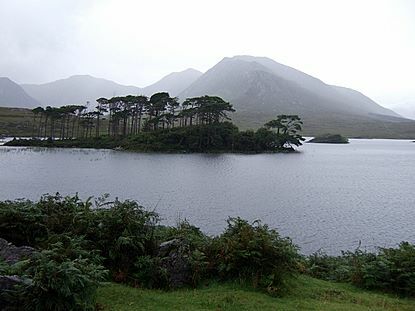 Ireland: the irish landscapes are of a magnificent and mysterious beauty. Ireland: colourful houses in the irish villages and cities. 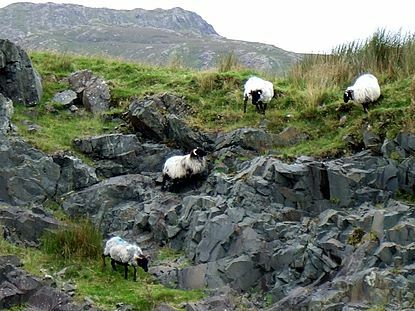 Ireland: some of the famous Irish sheep wearing the famous Irish wool! IRELAND HAS SUCCEEDED IN PRESERVING not only its culture and traditions, but also many memorials to the past. Unlike so many other nations which have been destroyed or seriously damaged by a succession of conquerors, it has made an outstanding effort to retain and preserve its heritage: monasteries, Medieval buildings, ancient villages and traditional arts and crafts can be seen and enjoyed as though they dated from yesterday. Many buildings, bridges, and historic sites elsewhere in Europe have been irresponsibly destroyed in the name of progress and civilisation. In Ireland, however, you will meet enthusiasts who have not only preserved their past, but dedicated themselves to restoring it to its former glory. Untouched by the industrial revolution, you can still visit ancient Viking and Norman townships, find relatives of famous writers prepared to share their family history with you, and call in at numerous heritage centres which open their doors to the public and take pleasure in explaining their Country’s past. Ireland has innumerable treasures to share from every period in its history, from the pre-Christian era to the present day. Our school syllabuses try to give the young a taste of how our ancestors lived, and draw their attention to the landmarks which have marked our progress towards modern civilisation. In Ireland, one is made to feel part of history, and expert guides and curators are frequently on hand to help visitors relive it in a lively, interactive way. Our website will introduce you to a number of sites in Ireland where English, history and geography teachers, in the company of their pupils, can take a journey back through time. Admittedly, exploring the paths we point out to you may sometimes require a little more effort than simply following the beaten track and the usual list of "inevitable" tourist attractions. But he who dares, wins! only benefit from such preparation and you will avoid possible disappointment and unnecessary risks. Ireland offers a wide choice of group accommodation: youth hostels, university residences, hotels which welcome groups, etc. In general, you will be able to find value-for-money group accommodation throughout the Country. To reserve beds in a youth hostel, contact the hostel of your choice directly, or the Irish Youth Hostel Association. The youth hostel federation in your own country should also be able to help. There are also many independent specialists. Contact the Regional Tourist Boards for their listings. For school trips, an excellent way to save both time and money is to take a packed lunch along with you on your expeditions. Most tourist attractions have an indoor or outdoor lunch area, specially designed to meet the needs of groups. In most cases, youth hostels will prepare packed lunches at reasonable prices. Well known restaurant chains operate in the towns and larger villages, and usually offer a lunch menu, as do local establishments. Full, or half-board is usually available, and youth hostel meals are economically priced. You should not, of course, forget to taste local specialities. Irish Universities and colleges offer accommodation in their halls of residence during the vacations; 2-3 weeks at Easter, June to August, and at Christmas. Some may be able to help all year-round. They offer a choice of group or single rooms, are of good quality, and suitable for large or small groups of all ages. Classroom and sports facilities are sometimes available. Contact them individually to discuss your needs. For nature lovers who enjoy sleeping under canvas. Dublinia, the Medieval heritage centre located beside Christ Church Cathedral, tells the story of the development of Dublin from the arrival of Strongbow and his Anglo-Norman knights in the 12th century to the era of Henry VIII in the 16th century. Dublin's Viking Adventure Dyflin, the former Viking village, built one thousand years ago, laid the foundations for Dublin as we know it today. The James Joyce Centre, who is regarded as the greatest, and certainly the most influential, writer of the 20th century, wrote about Dublin and nowhere else but Dublin. The Irish National Heritage Park Ireland, more than any European country, is dotted with material reminders of its past inhabitants. The lovely stone buildings of Adare, just 15 kilometres south of Limerick City, make it one of the prettiest villages in Ireland. One of the largest accessible caves in Ireland, Aillwee contains showcase examples of columns, stalactites, straws, stalagmites and flowstones, as well as underground rivers and thunderous waterfalls. Birr Castle and Demesne In the 1840s, the Third Earl of Rosse, owner of Birr Castle, constructed the biggest telescope then built, making the small midland town of Birr the astronomical centre of the world. Bunratty Castle One of the finest surviving examples of a Irish tower house, it is hard to believe that the castle has had a bloody and violent history. Clonmacnois I will never forget that place in which we stopped for a short time in the early hours of Sunday, 30th September..... So wrote Pope John Paul on his return to Rome from Ireland in 1979 after a visit to this ruined monastic city, built on an esker or natural gravel ridge, and situated on a bend in the River Shannon. To understand the origin and growth of Crag Cave one must go back about 400 million years in geological time to when the earth was moving and forming all sorts of shapes and textures, and carboniferous limestone, essential for the formation of caves, was being laid down in the seabed. 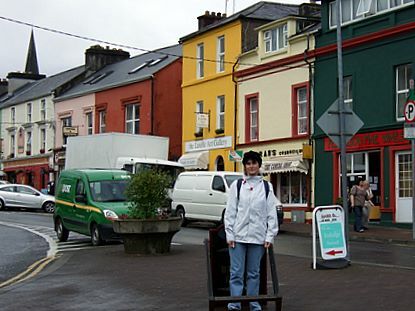 Kerry the Kingdom in Tralee recounts 8,000 years of Irish and Kerry history. Craggaunowen, set in the grounds of a tower house on twenty hectares of wooded land, has authentic reconstructed replicas of prehistoric and pre-Christian dwellings. Jeanie Johnston A life-size replica of the Jeanie Johnston, a triple-masted barque, is being constructed at a special visitor-friendly shipyard in the historic village of Blennerville, near Tralee. West Offaly Railway 12,000 years ago, the Blackwater Bog was covered by a glacier. It subsequently became a lake, a fen, and finally the bog as we know it today. Monastic Roscrea The Midlands of Ireland may rightly claim to have played a major role in the Christianisation of Europe. So many monasteries with scriptoria, and metal and stone workshops flourished here that the region has been aptly called "The Monastic Midlands. Foynes Once the centre of the world of aviation, Foynes is now a major seaport situated on the Shannon estuary. King John's Castle stands on King's Island, dominating the Medieval quarter of Limerick City. It was built to protect the river crossing just above the Shannon estuary as part of a strategy to control Ireland. The Hunt Museum contains exhibits dating from the Stone Age right up to the 20th Century. The Burren The Boireann, or rock land, is a national park, covering 500-square kms of bare limestone slabs, known as pavements, in the north of County Clare. Kilrush Irish landlords played an important role in the planning and development of estate towns such as Kilrush, a town which grew and flourished under the auspices of the Vandeleur family in the 18th and 19th centuries.